Dogs are like children and I know that your dog holds a very special place in your heart.. even above humans sometimes! 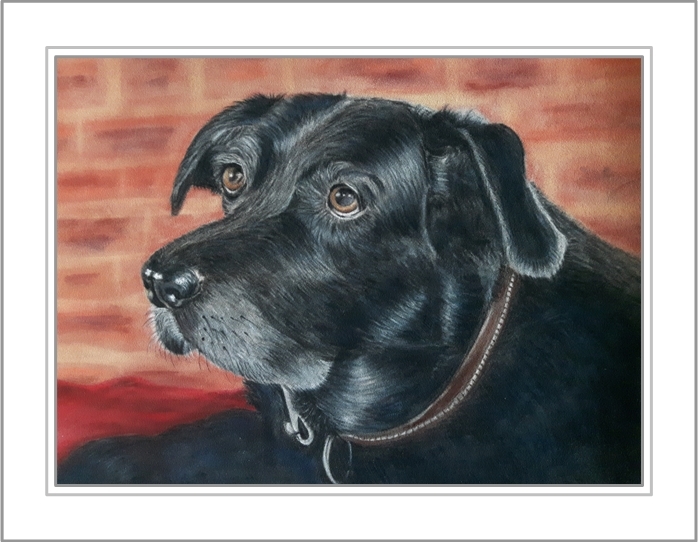 It’s my absolute pleasure to paint a pastel dog portrait for you whether you have one dog or many. 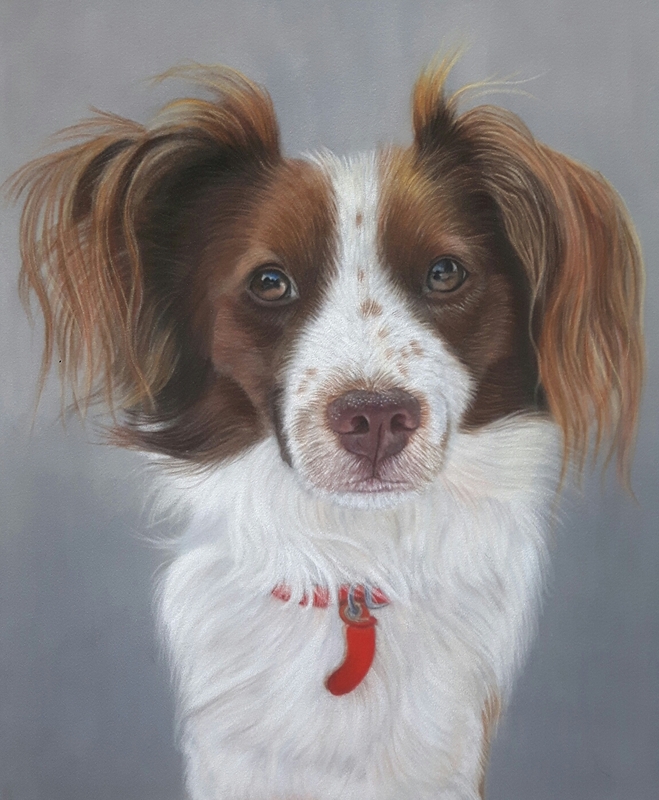 I can paint all of your dogs in a single portrait or paint them separately. I can work from your photographs. But I know that sometimes it can be difficult to photograph your dog especially when they are young and so full of energy. So it is a good idea for you to have help when you take the photographs. Either someone holding your dog in a sitting position or grabbing there attention with food whilst you take lots of photographs, I can never have too many photos to choose from. From my experience I have found that crouching down to your dogs head height makes the best dog portrait. You can raise them up on a chair, a sofa or a table or if you’re outside on a low wall or a rock or bolder. If you are local to me I can photograph your dog for you. If you have a favourite place where you walk your dog on your family walk but you have the perfect photo of your dog in your garden I can add the background. To do this I need the background with the correct perspective. 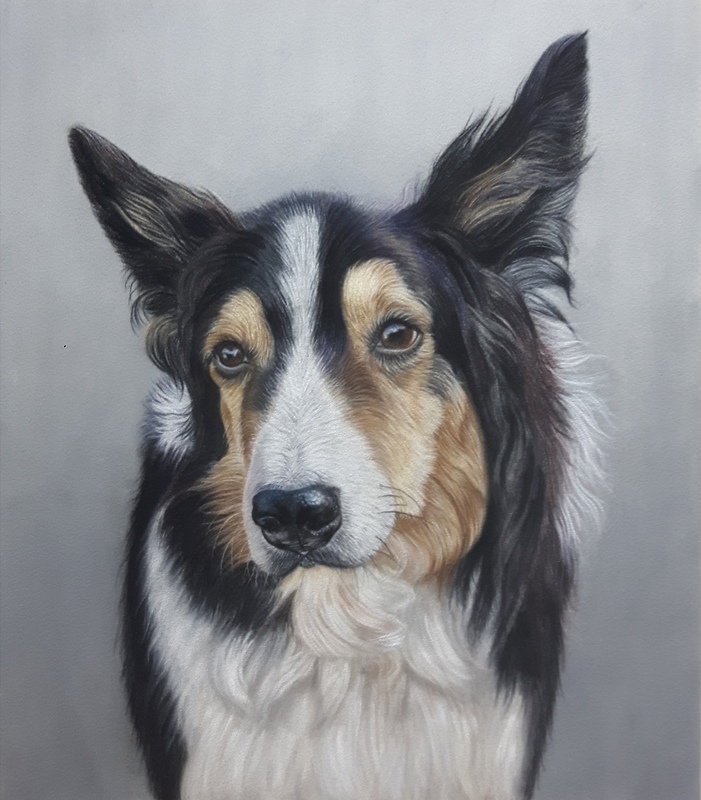 Have a look how I created Oscar’s portrait to give you an idea of what can be achieved. 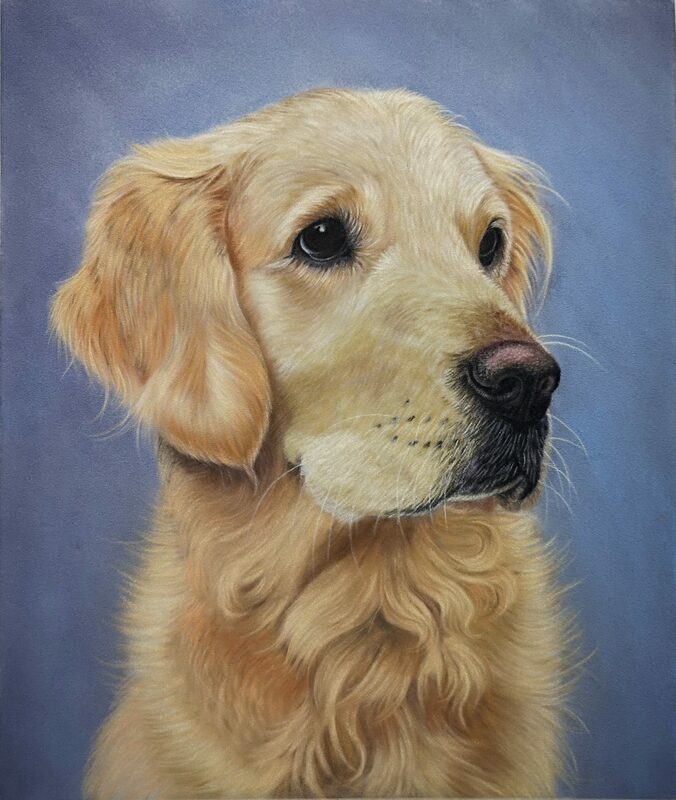 The size of your dog portrait will depend on the type of dog you have. A head study of a small dog would be suitable for an 8″ x 8″ or 9″ x 9″ mount. 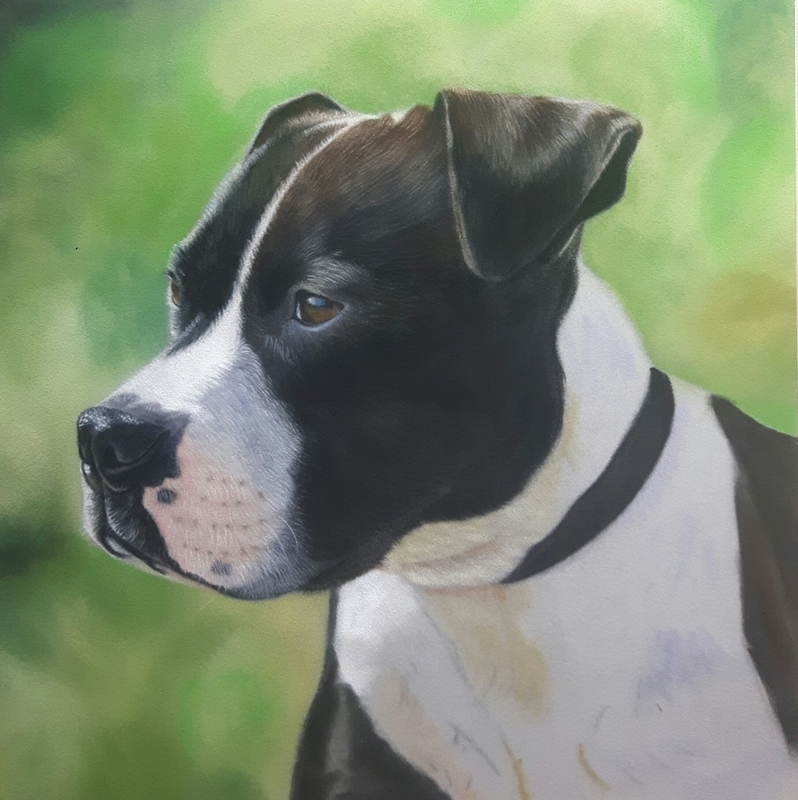 If you are wanting a full body portrait a suitable size would be 14″x 11″ or 16″ x 12″ Find out how to commission a portrait.